A journey through haunted forests, through dreams and time. A tale of love, magic and the power of forgiveness. Rom, a young Tzanatzi outcast who can relive the past and Yldich, a mysterious Einache shaman are on the trail of an ancient curse. 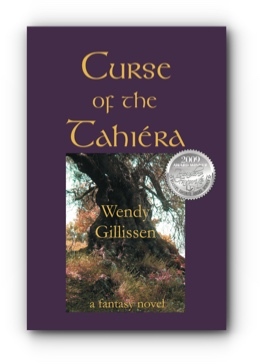 Curse of the Tahira, the award-winning dbut by Wendy Gillissen is a thrilling fantasy adventure and spiritual tale in one. When Rom, a young man shunned for his Tzanatzi ancestry, crosses paths with Yldich, an Einache Shaman, they embark on a journey which will change their lives and that of their people forever. Yldich believes that Rom can free the Einache people from a curse that has been brewing for five-hundred years. A dark force is already rising in the North, while in the South power hungry nobles will stop at nothing to get what they want. Yet Rom has no clue to who he really is, and will have to grow up fast if he is to fulfil Yldichs prophecy. Together with Eald, a little Einache boy Rom and Yldich travel north through Gardeth Forest, where the veil between this world and the underworld grows thinner each day, and the army of the Southern King is closing in. Embattled on all sides, but with the loving guidance of Yldich, Rom must face his own past and that of his people to heal the wounds inflicted by centuries of persecution and hatred. Curse of the Tahira won silver in the Readers Favorite Awards 2009, category fantasy/sci-fi. A tale of healing...Rom's journey through the Underworld truly is a brilliant combination of humour and spiritual depth. A thoroughly refreshing book, utterly original, engrossing and written in an enjoyable, easy style. A mystical journey with many stopping places along the way. Congratulations on this wonderful book. Curse of the Tahiéra achieves on nearly every level of excitement and entertainment that the genre of fantasy prescribes. It’s enlightening in its connection with real world values of love, honor, and camaraderie and on top of that, its great entertainment. Gillisen’s take on pixies, beasts, and other common fantasy figures is unique and revitalizing. Fantasy novels are all about the journey, and Gillisen is able to weave several into a single amazing voyage that is captivating from beginning to end. I found myself drawn deeper and deeper into a genuinely well told tale. I identified with the characters and wanted to be part of their fellowship. Moreover, there was a great deal of spiritual, metaphysical, and wisdom lore artfully hung on the framework of the story without it seeming out of place. I recognized the truth of it even though the terminology was different from my own. In short, this book recharged me instead of draining me, and that is the best measure of a book from my personal experience. Gillissen's pace and plot unfold in an effortless manner keeping the pages turning at a rapid rate. Her detailed and carefully considered narrative and use of Tzanatzi and Einache languages help to envelope the reader into this unique world. The passages where she shares Rom's emotional and physical journey through his first intimate experience and later love interest are exceptionally well written. Rom's journey to the underworld is especially well crafted besting that offered by Phillip Pullman in The Amber Spyglass (His Dark Materials, Book 3). Wendy Gillissen (Delft, 1969) has always been fascinated by dreams and the supernatural. 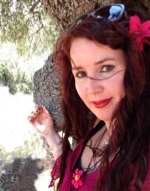 After graduating in Clinical Psychology she specialized in dreamwork and past life therapy. In 2007 Wendy became a member of OBOD (the Order of Bards, Ovates and Druids). In her spare time she plays the Celtic harp.